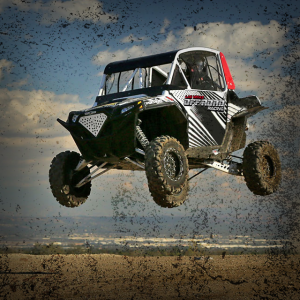 LV Off Road Racing has designed and built the only 1-mile race track in the US where you can race a professional Truck, Dune Buggy, UTV, and Rally Car. 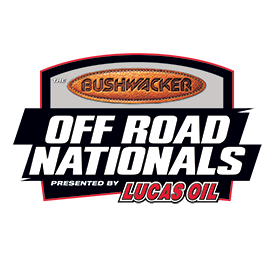 Our one-mile track will give you the exact experience of being in a Lucas Oil or Worcs race. 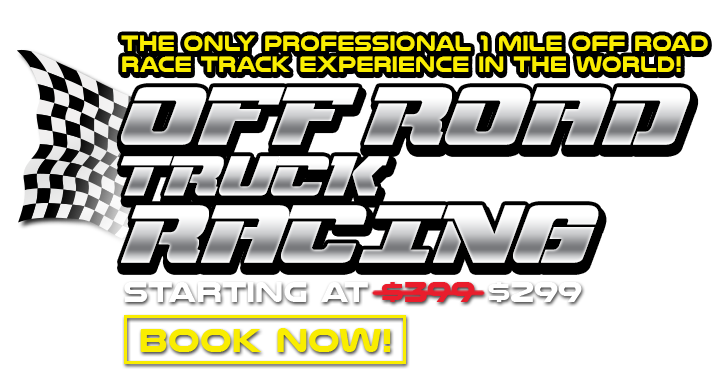 Not only will you drive a pro race truck, but you’ll also be driving a proven championship race truck! Book today! 7 TURNS! • 100 FOOT TABLETOP JUMPS • MULTIPLE CRESTS/JUMPS! 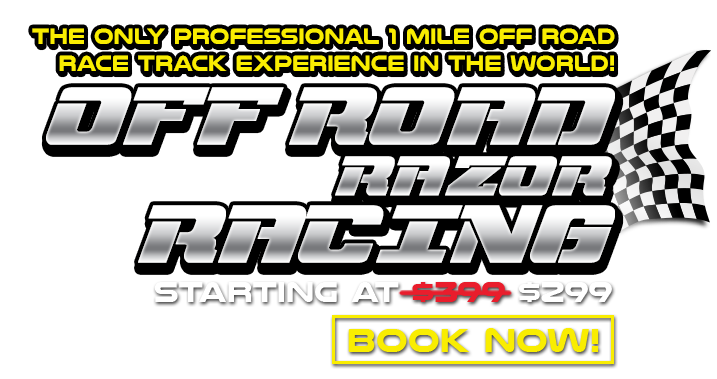 With a purchase of any Off Road Racing Package. 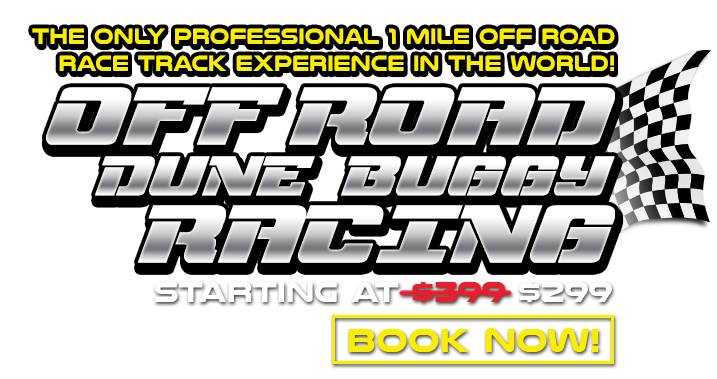 Feel like one of the pros and drive through our 1-mile off-road professional race track in your choice of Pro Race Truck, Pro Dune Buggy, Razor, or Pro Rally Car. Get your blood flowing and adrenaline going! Then, you can continue your adventure at our outdoor machine gun range to shoot the big guns. Take a once in a lifetime trip in our “Doors on” Helicopter through the Grand Canyon and experience it in a way that you never have before! 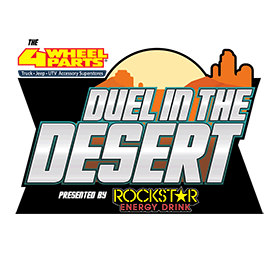 Afterward, head down to our 1-mile off-road professional race track to drive through sand and dirt in a Pro Race Truck, Pro Dune Buggy, Razor, or Pro Rally Car! 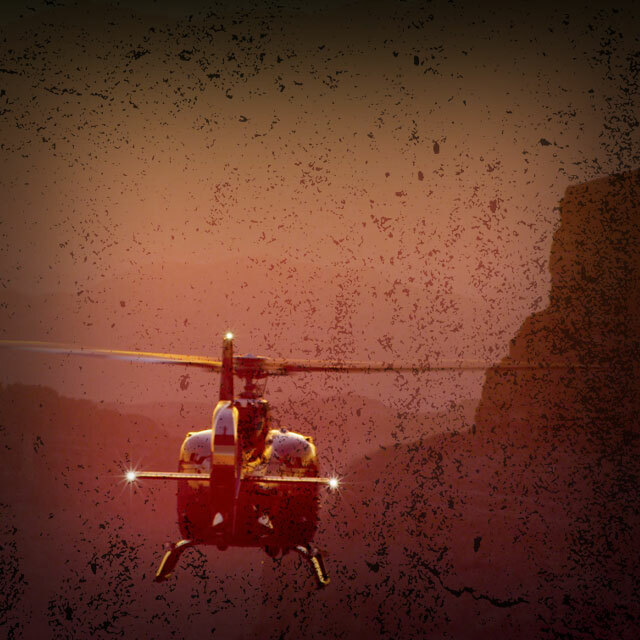 Start off your Vegas adventure right with a “Doors on” Helicopter flight through the marvelous Grand Canyon to experience everything that it has to offer! 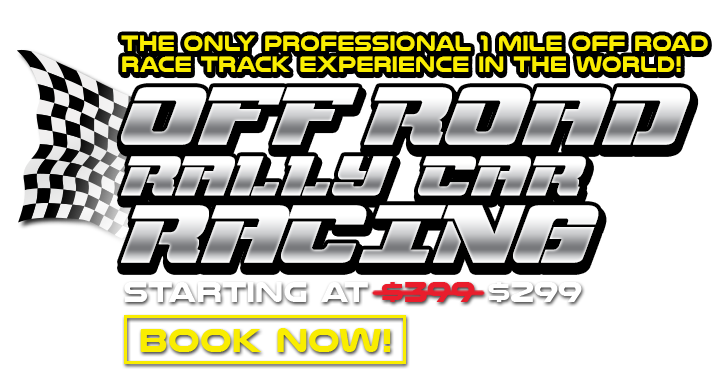 Then, drive on our 1-mile off-road professional race track in a Pro Race Truck, Pro Dune Buggy, Razor, or Pro Rally Car and show off your racing skills! Finally, hunker down in our fully stocked outdoor shooting range and shoot with a variety of fully automatic weapons and .50 caliber guns which includes the Barrett Sniper Rifle, M2 ‘Ma Deuce’ BMG, and Desert Eagle. Cruise the Las Vegas Strip or go on an adventure as you explore the open road as you drive your high-performance exotic or muscle car through historic Boulder City passing the Hoover Dam while you drive 26 miles on the brand new, beautiful 4-lane freeway to our facility. 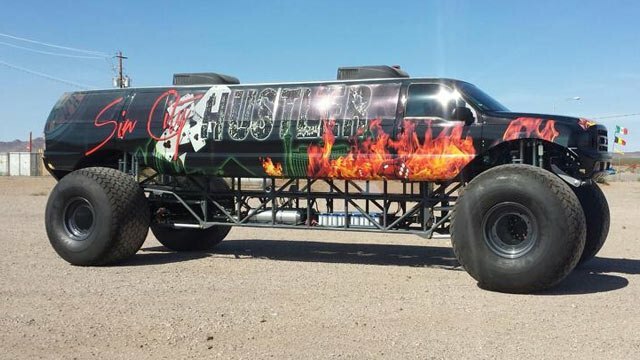 Then, feel like one of the pros and drive through our 1-mile off-road professional race track in your choice of Pro Race Truck, Pro Dune Buggy, Razor, or Pro Rally Car. Get your blood flowing and adrenaline going! 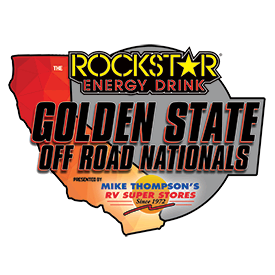 Cruise the Las Vegas Strip or go on an adventure as you explore the open road as you drive your high-performance exotic or muscle car through historic Boulder City passing the Hoover Dam while you drive 26 miles on the brand new, beautiful 4-lane freeway to our facility. 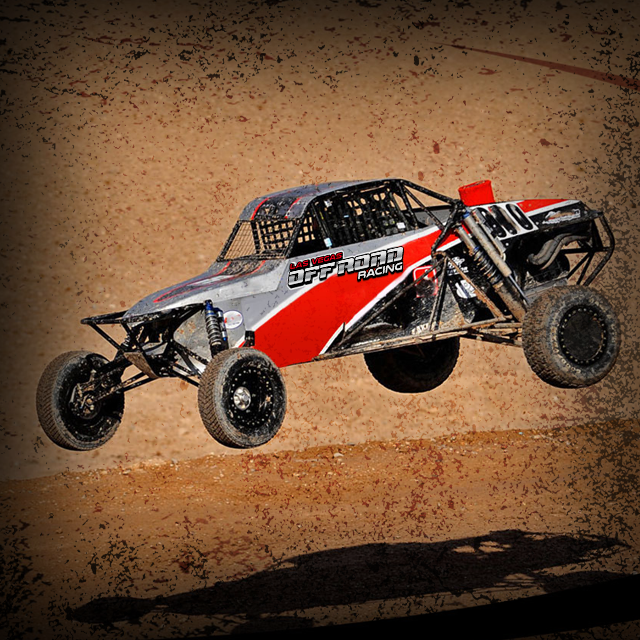 Afterward, head down to our 1-mile off-road professional race track to drive through sand and dirt in a Pro Race Truck, Pro Dune Buggy, Razor, or Pro Rally Car! And finally, we head to our on-site ranges where you then will fire your weapons outdoors in military style bunkers. 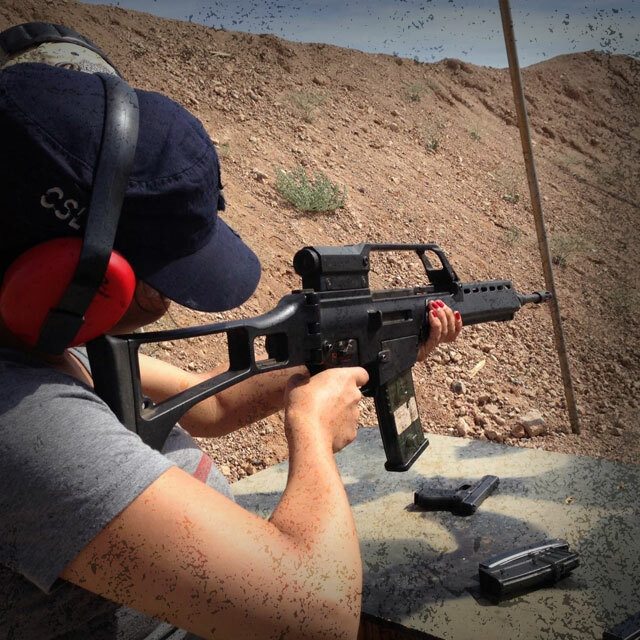 At our range, you can shoot FULL auto on our machine guns! 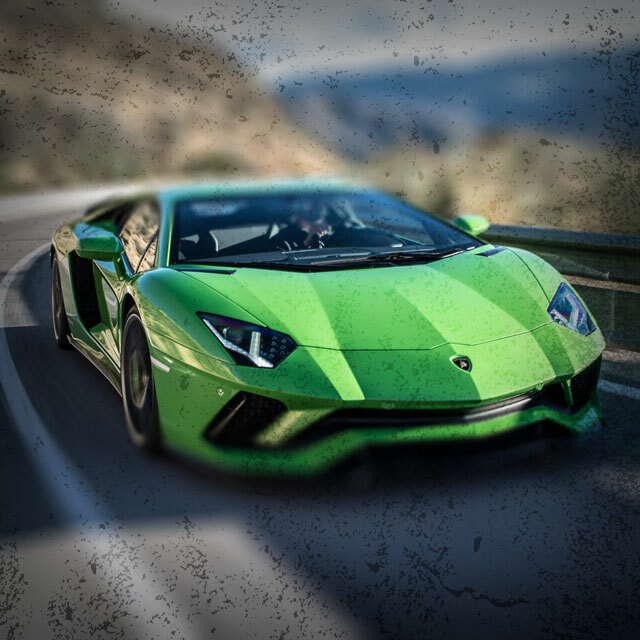 Cruise the Las Vegas Strip or go on an adventure as you explore the open road as you drive your high-performance exotic or muscle car through historic Boulder City passing the Hoover Dam while you drive 26 miles on the brand new, beautiful 4-lane freeway to our facility. After you’ve tamed the open road, experience this one of a kind outdoor adventure exclusive to Las Vegas that will be sure to feed your adventurous side. 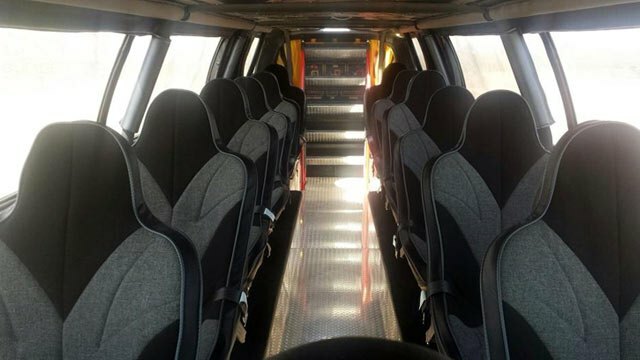 Begin the journey of a lifetime as you take to the air for our sensational “Doors On” helicopter flight through the Grand Canyon and marvel in one of life’s greatest wonders. 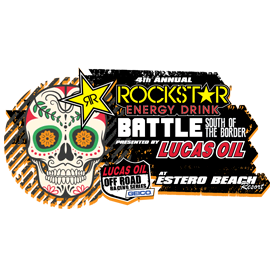 Afterward, head down to our 1-mile off-road professional race track to drive through sand and dirt in a Pro Race Truck, Pro Dune Buggy, Razor, or Pro Rally Car! And finally, we head to our on-site ranges where you then will fire your weapons outdoors in military style bunkers. 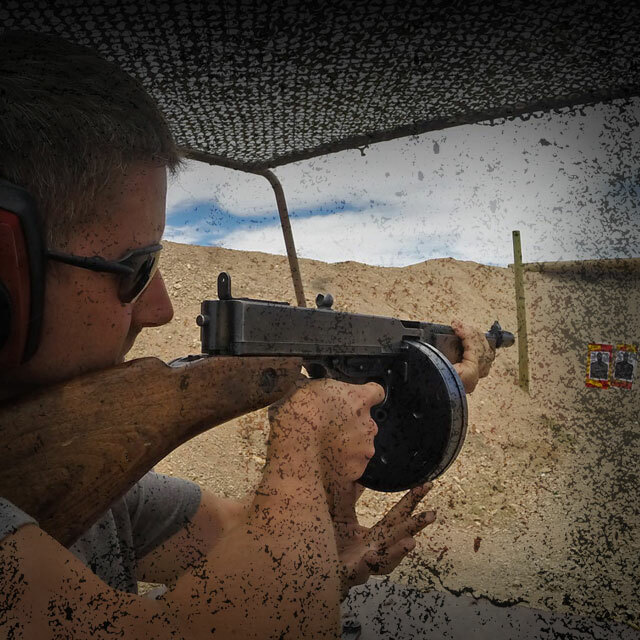 At our range, you can shoot FULL auto on our machine guns! We’ll pick you up at your scheduled departure time from most major hotels in the Las Vegas area. 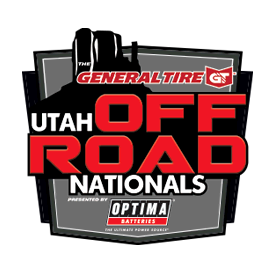 One of our pro-off-road instructors will take you through your chosen vehicle, pointing out safety features, operating instructions, and generally getting you comfortable with your off-road vehicle. 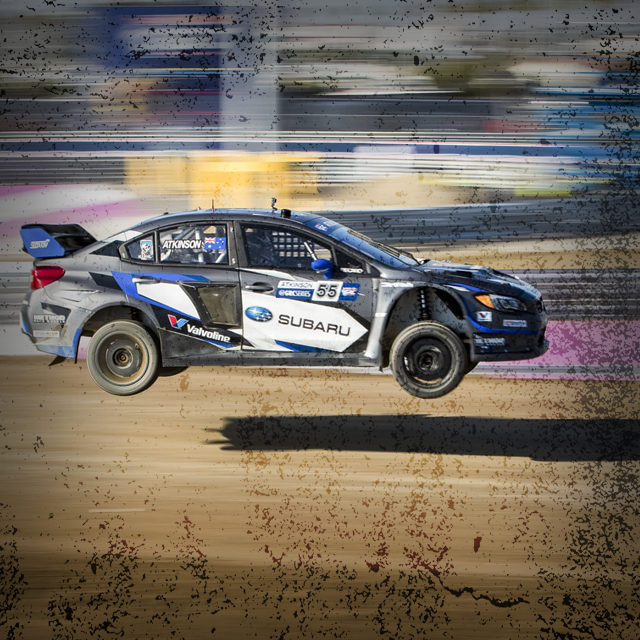 Your adventure begins and your unforgettable racing experience is just getting started! And if you select one of our combo packages, you’ll have the unique experience of a lifetime all in one location, and in one day! 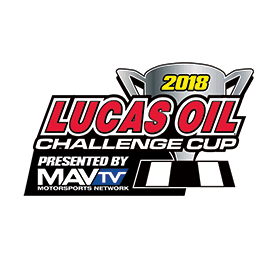 Regale in your off-road stories and adventures as you head back to Las Vegas with memories like being in a real Pro2 Lucas Oil or TORQ short course off-road race! 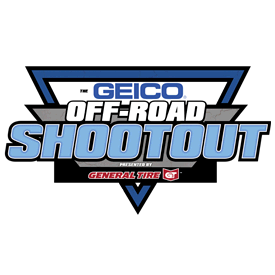 READY FOR OFF ROAD ACTION? 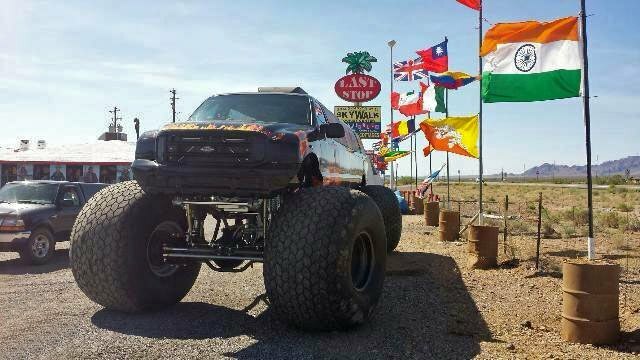 Make your dreams of racing in an off-road truck a reality with Las Vegas Off Road Racing. 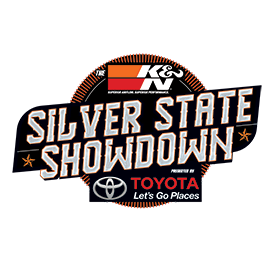 We welcome all drivers and experience levels to jump behind the wheel and drive in a fully sanctioned race.